Posted January 23rd, 2014 at 11:53 am. When Bryn Mawr’s biology department was looking for a new laboratory lecturer, they hoped to find someone who could help change the introductory biology lab from a somewhat traditional, structured environment featuring experiments with predicted outcomes to one that might better reflect the sort of work an advanced researcher does…all while still teaching students necessary core concepts. Enter Jennifer N. Skirkanich and the tiny worms called planarians. A developmental biologist also interested in improving pedagogy, Skirkanich was studying early embryonic development in tadpoles as a graduate student when an article in the journal Science on planarians caught her attention due to similarities with her own research. Planarians are non-parasitic flatworms ranging in size from about a 16th to a quarter of an inch and are found throughout the world. They have an amazing ability to regenerate themselves. Planarians are nothing new; in the 1950s and ’60s they were a staple of high school and college labs. In fact, one of the pioneers in using planarians in the lab was Bryn Mawr faculty member and future Nobel Prize winner Thomas Hunt Morgan, whose work in the 1890s, along with the work of Harriet Randolph of the biology department, led to much of the early understanding of the worms’ unique abilities. However that early understanding was by today’s standards fairly limited and may explain why the use of planarians fell out of practice in most labs. 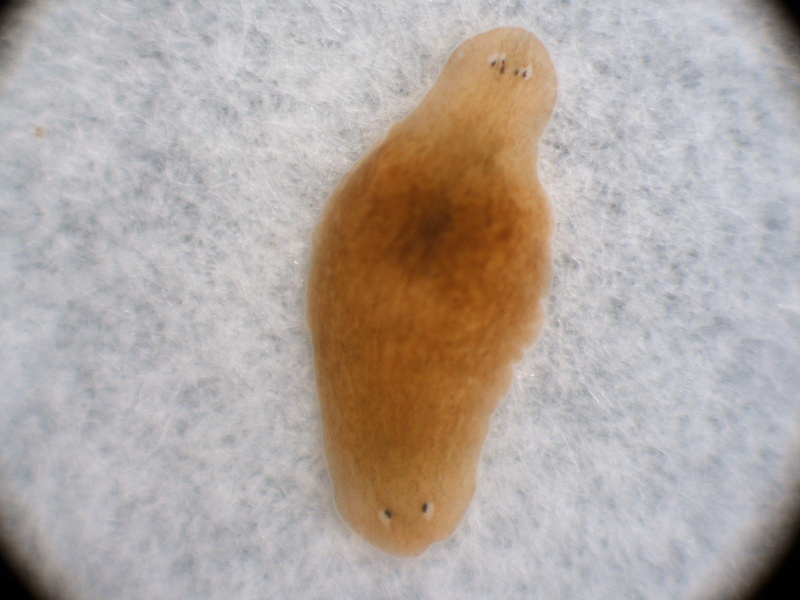 In addition to dissecting the planarians to observe the natural regeneration process, Skirkanich has Bryn Mawr students feed the worms food containing double-stranded RNA to stop genes from being expressed, resulting in a host of mutant phenotypes including planarians with two heads, multiple sets of eyes, or no head at all. “For an intro-to-bio student this is really visually striking and memorable. At the same time, these are complicated concepts that they’re mastering. This relationship of DNA, RNA, and proteins is at the core of the first semester of introduction to biology,” says Skirkanich. The charm of Skirkanich’s little critters has extended beyond her own lab. This fall, an ecology class led by Thomas Mozdzer collected planarians in the water retention pond on campus. “I have a suspicion as to what species they are but we have yet to identify them. Right now we’re just calling them Bryn mawricus,” says Skirkanich, who is already thinking about a future planarian lab that might look at the interplay of ecologic factors and gene expression. “Our second semester of intro bio is not focused as much on the cellular and molecular level but more on the organism as a whole: development, evolution, ecology, and physiology. We’re not working with planarians this particular semester but there’s no reason we couldn’t in the future,” says Skirkanich. Biology Department Chair Tamara Davis says Skirkanich’s lab is a perfect example of the environment students can expect at Bryn Mawr. First-year students Wenzhi Song and Anna Bezruki agree. “All the excitement and fun I had in the lab helped put concepts I’d learned from lectures into an interesting and memorable context,” adds Wenzhi. For more on Bryn Mawr’s Biology Department, visit the department website.